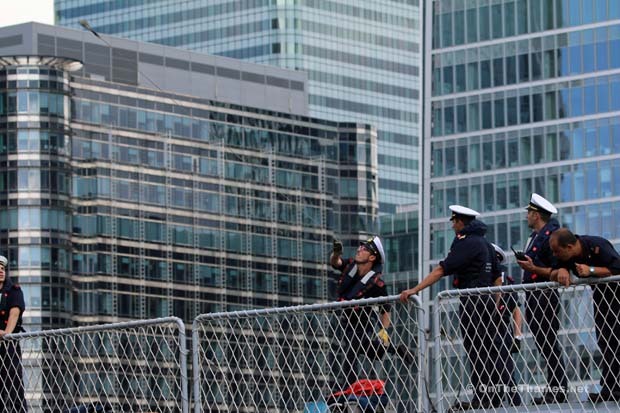 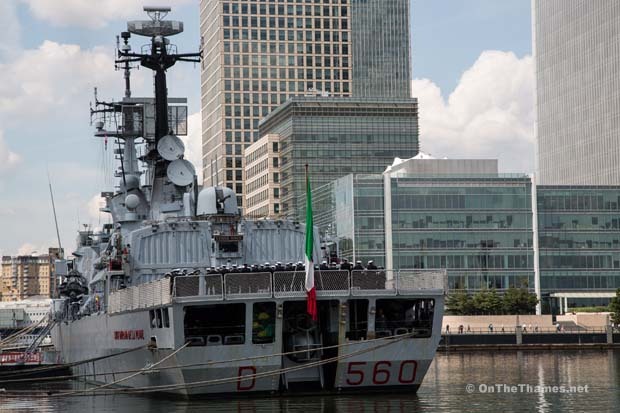 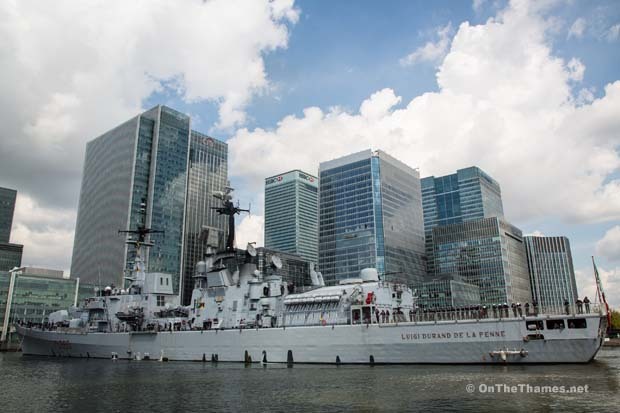 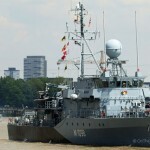 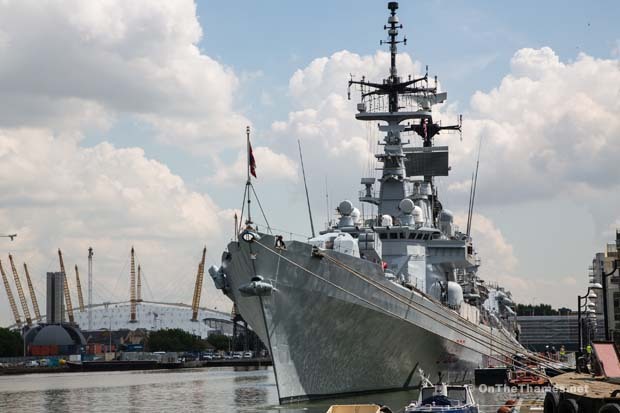 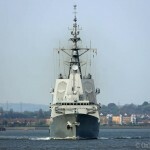 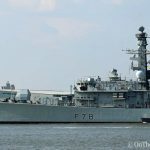 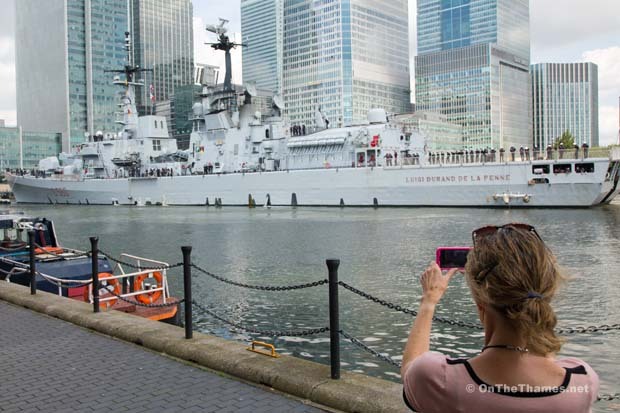 ONE of the Italian navy's Durand de la Penne class destroyers sailed in to London today, mooring at West India Docks. 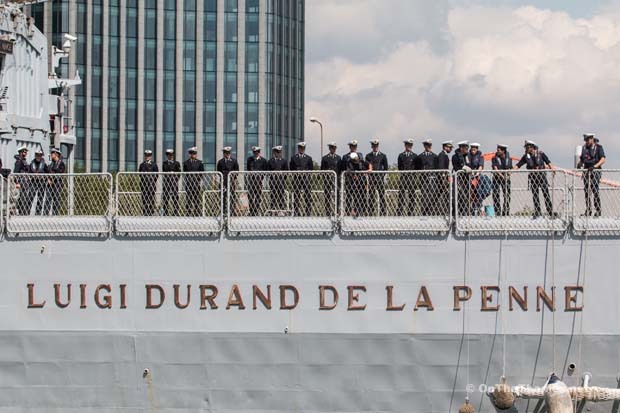 The 147-metre long LUIGI DURAND DE LA PENNE arrived at the entrance to the Docks at about 10.45 and was moored inside about an hour later. 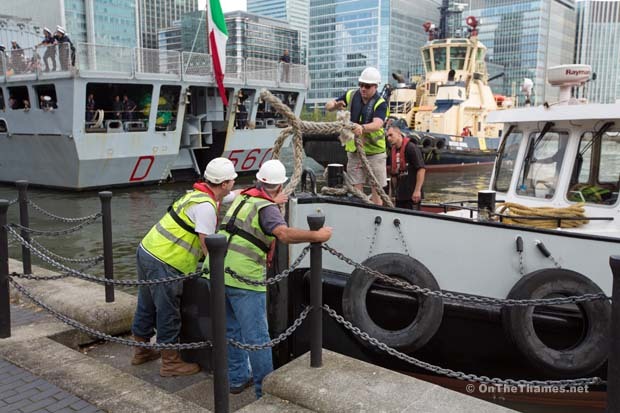 Named after an Italian navy diver who served in the Italo-Ethiopian war and WWII, the ship can carry 380 personnel. 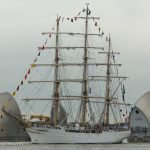 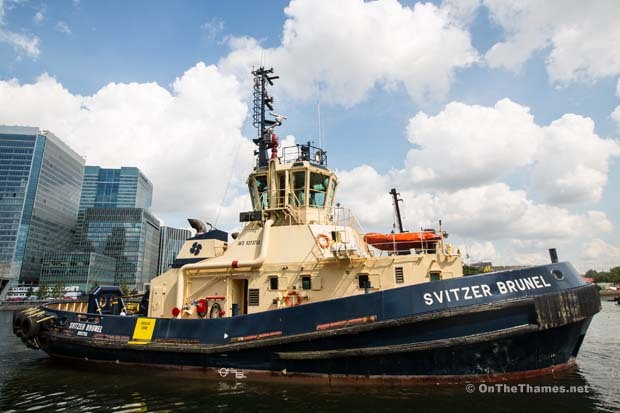 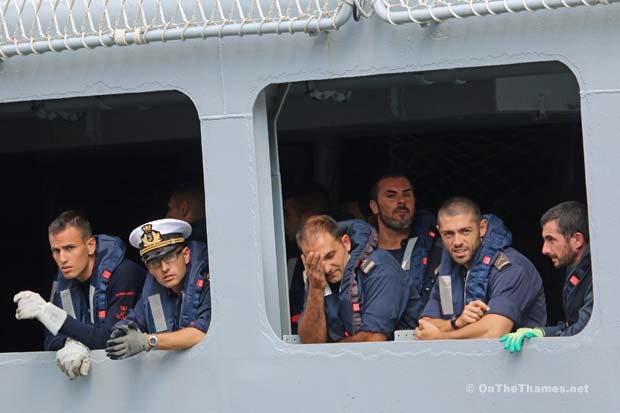 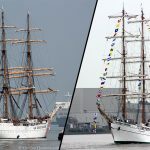 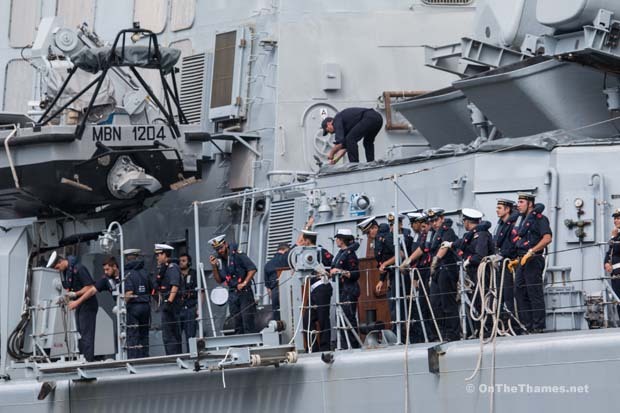 According to reports, the ship is carrying cadets from the Naval Academy of Livorno who would normally be on the Amerigo Vespucci - Italy's naval training ship - but she is currently undergoing maintenance. 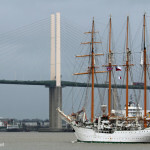 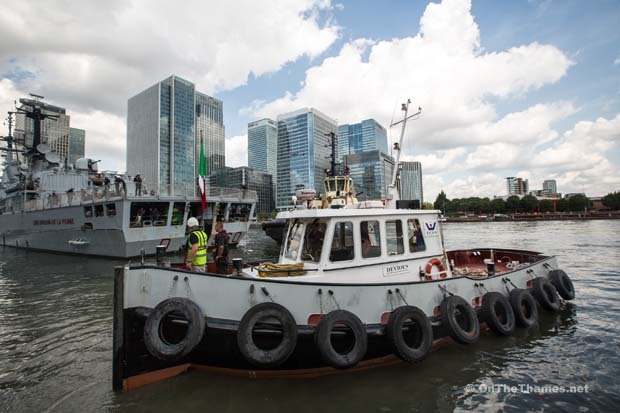 The LUIGI DURAND DE LA PENNE will remain in London until next week and will be open for visits from the public on Friday, Saturday, Sunday and Monday.